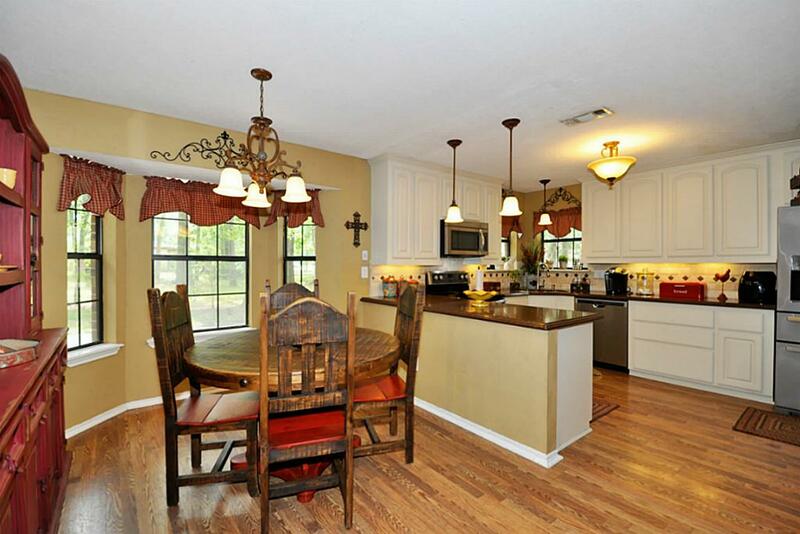 Lovely home on 1/2 acre! Gigantic private lot has room to play! 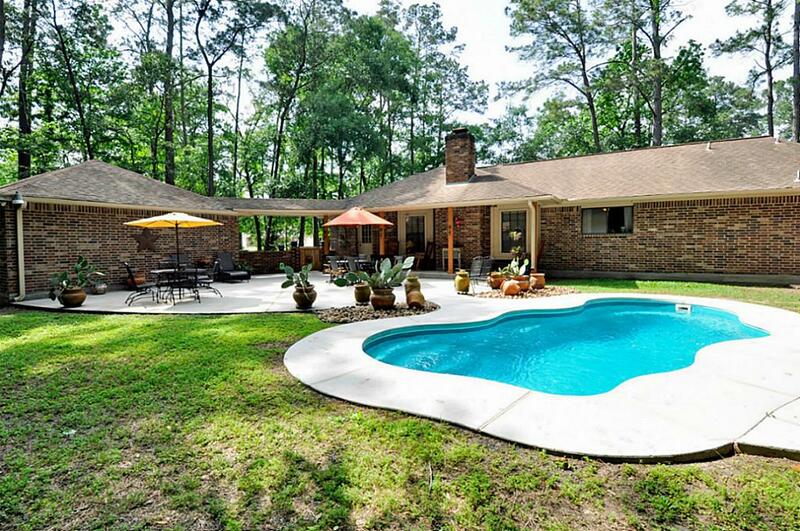 Large covered patio & plenty of decking for pool parties or just family relaxation! 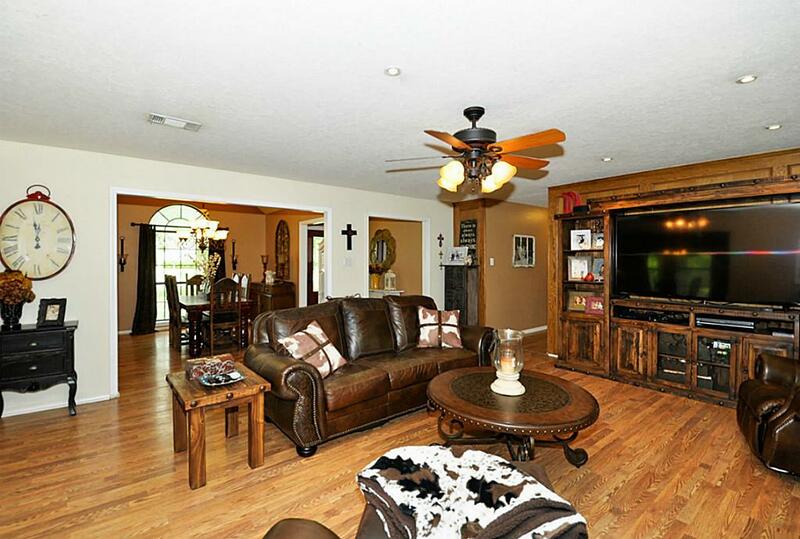 No one close on 3 sides of this gorgeous home! 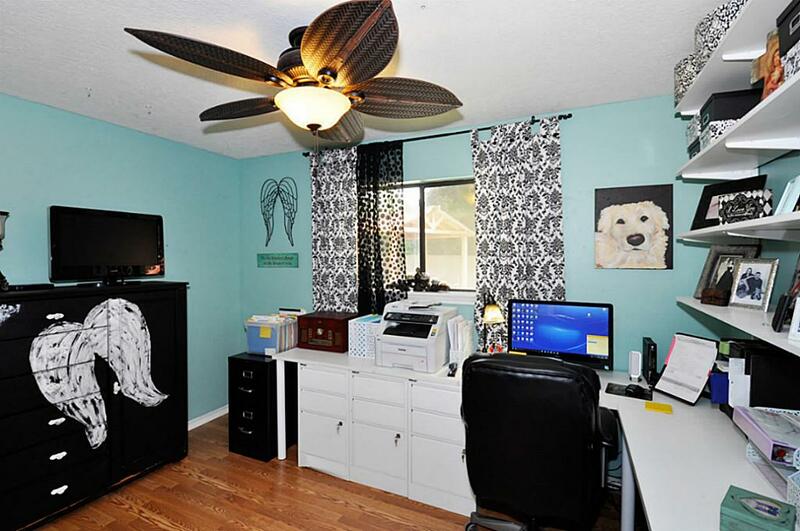 Detached 2 car garage has been converted to office w/ laminate flrs, 2 storage closets & separate air-conditioning unit. .Could be media, study or game room or could easily be converted back to garage!! Your guests will be impressed with the covered entry and rustic wood shutters. 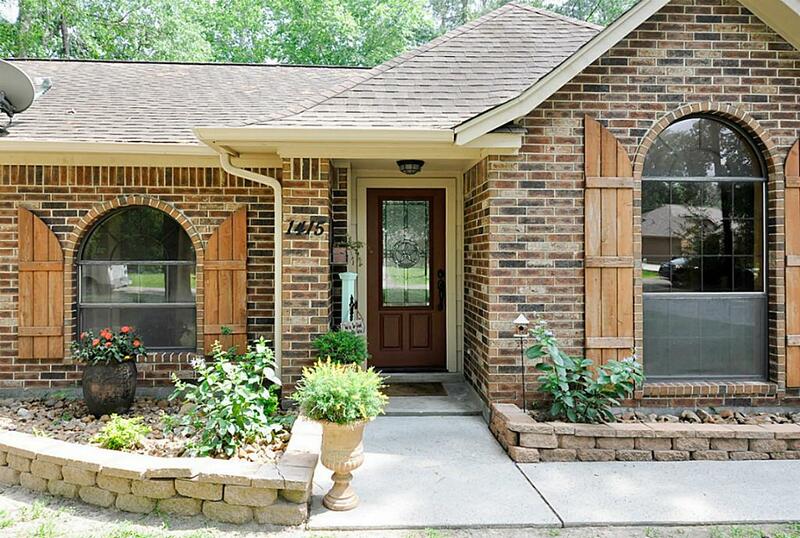 This all brick home with no inside carpeting makes for easy maintenance inside and out! 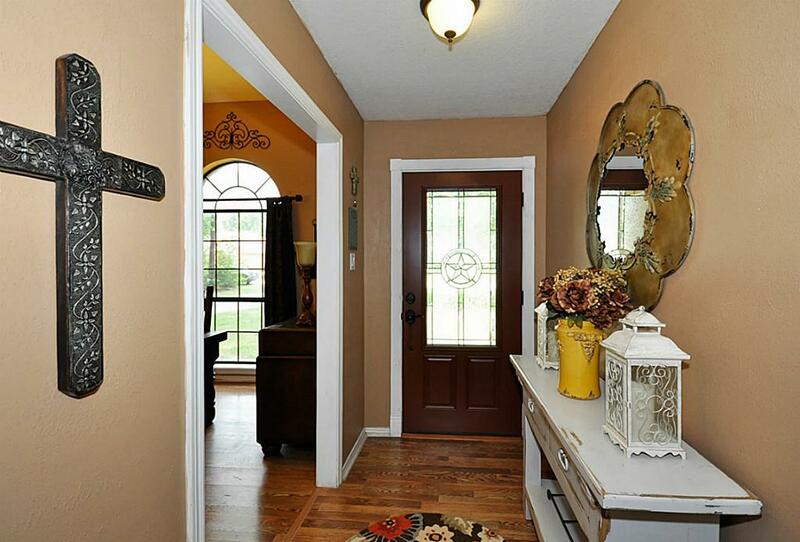 From the moment you enter through the elegant wood front door with leaded glass and custom molding, you will be impressed with the open floor plan and numerous upgrades! 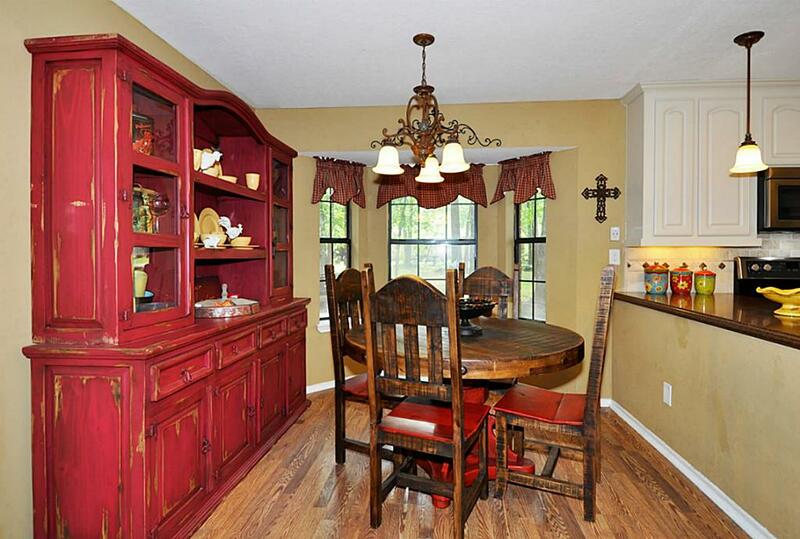 Dining located directly off kitchen for ease of serving and conversation! 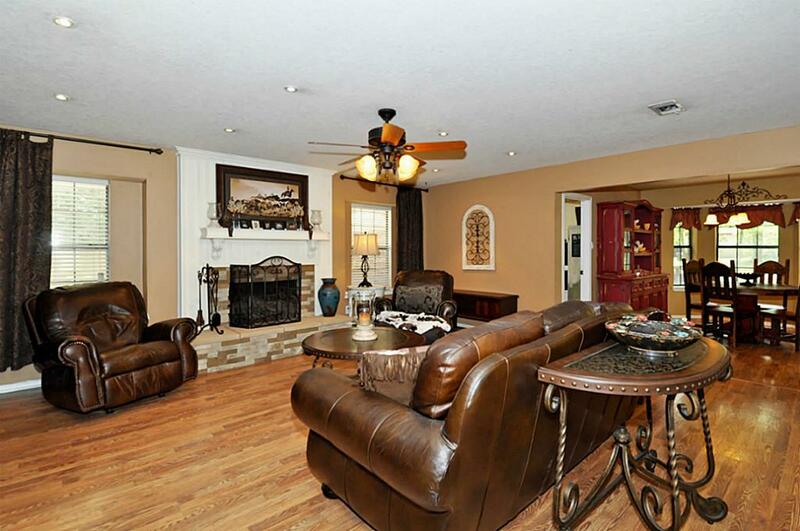 Wood-look flooring, vaulted ceiling, and Palladian window make this an enjoyable and elegant space for guests! Easy flow into Den for after-dinner conversations! Plenty of space in this over-sized Den! 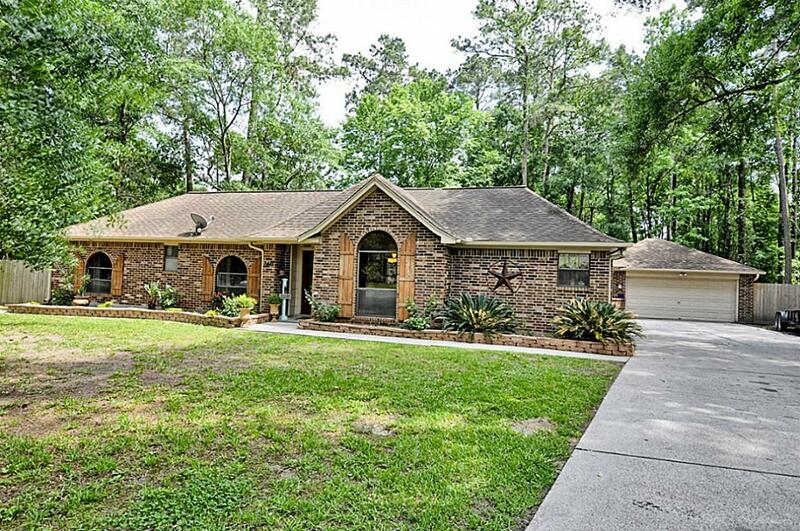 Features include wood-look laminate flooring, ceiling fan and light, recessed lighting, and a floor-to-ceiling bead-board and stone fireplace. 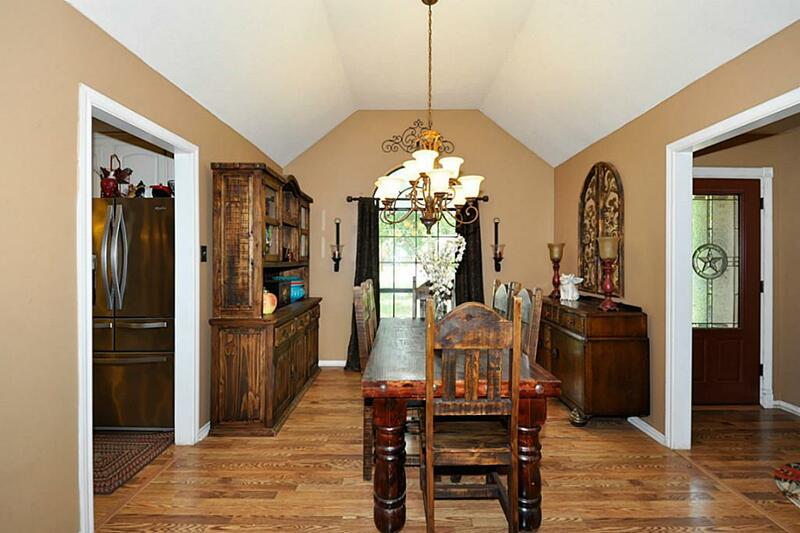 Den opens to Kitchen and Eating area, as well as Dining Room for easy flow. See virtual tour to appreciate! 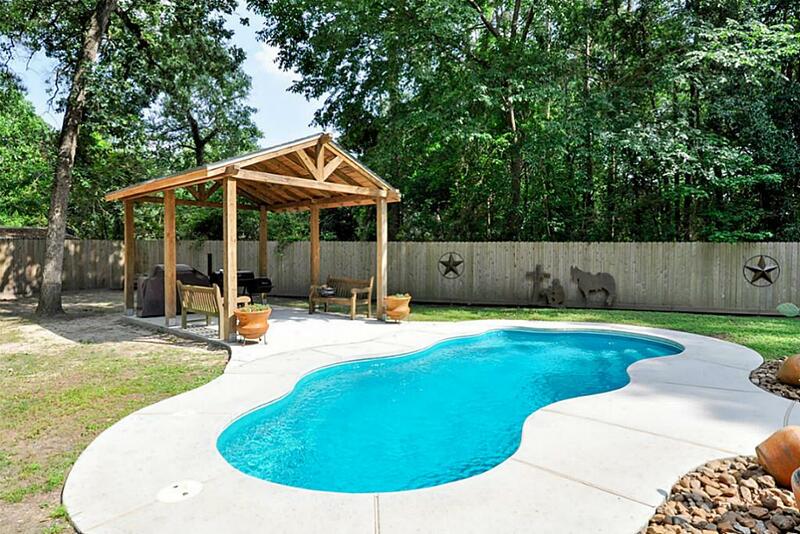 From here you will enjoy the gorgeous outside views of the quiet, private covered patio and well-designed back yard with pergola, in-ground salt-water pool, and 35x30 (approx.) 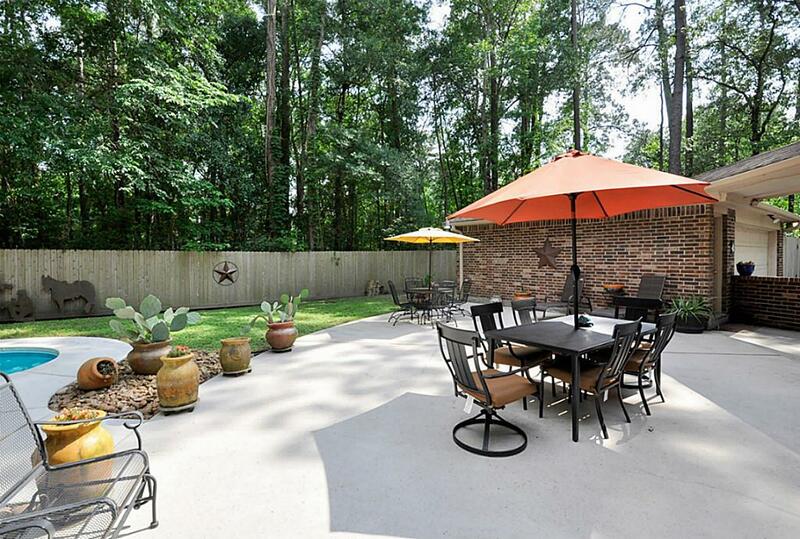 concrete patio as well as many mature trees and lush landscaping. Remodeled kitchen features solid surface counter tops, and Stainless steel appliances which include microwave, convection/double oven, dishwasher, and disposal. Note the elegant tile back splash, under-cabinet lighting, and updated lighting fixtures as well as the endless cabinets and counter top workspace! Expansive Breakfast/Dining area showcases an elegant chandelier and a bay window with seamless views of back yard, pool and pergola. Another view of the open flow between the Kitchen and Dining area. See our virtual tour! 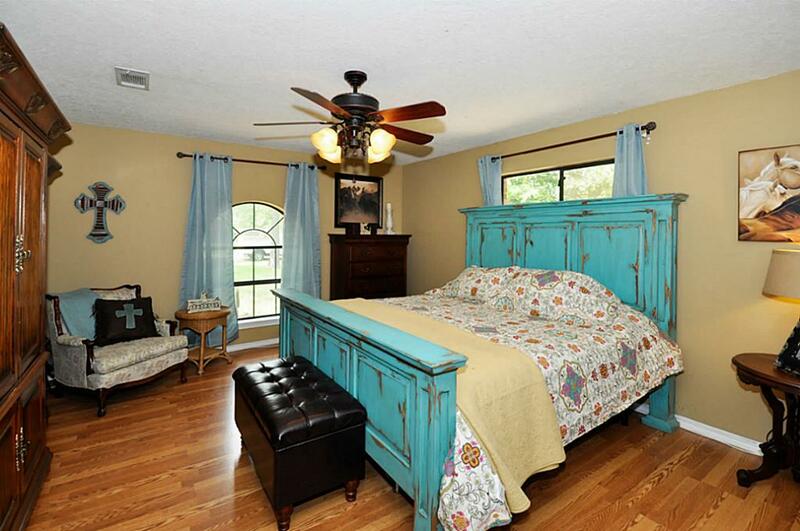 Tranquil Master suite includes wood laminate flooring, ceiling fan and light, and Palladian window. 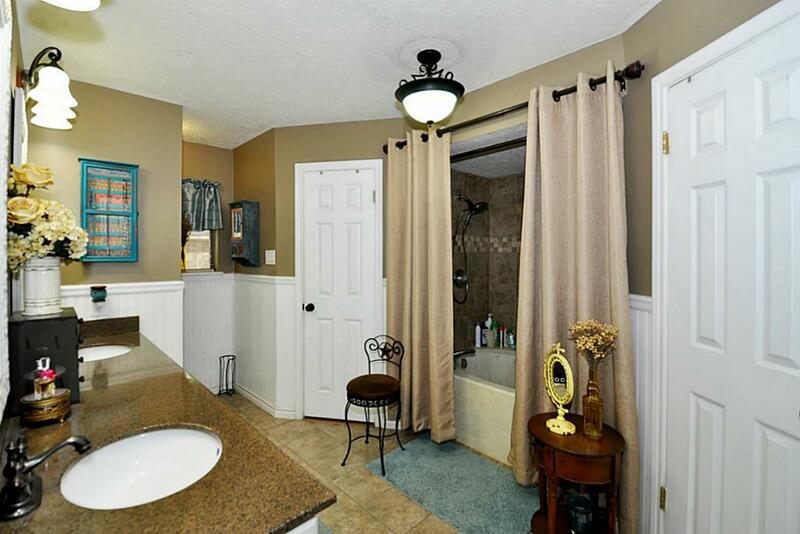 Direct access to Master bath. Plenty of room for any furniture arrangement! See our virtual tour! 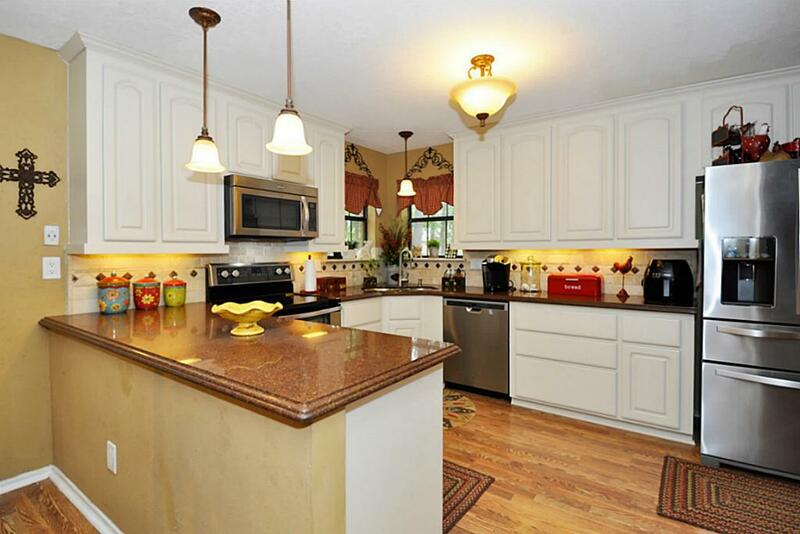 Roomy Master Bathroom has solid surface countertops, 34 in. height cabinets, dual sinks, tile flooring, bead-board accents, and his & hers walk-in closets and separate enormous linen closet. Huge shower and jetted tub combo complete the room! 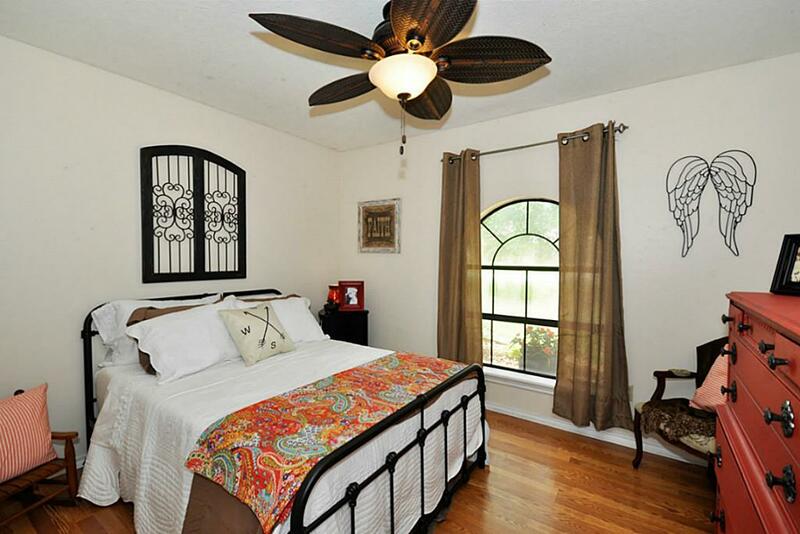 Secondary bedroom has large closet, ceiling fan and light, wood laminate flooring, and Palladian window. 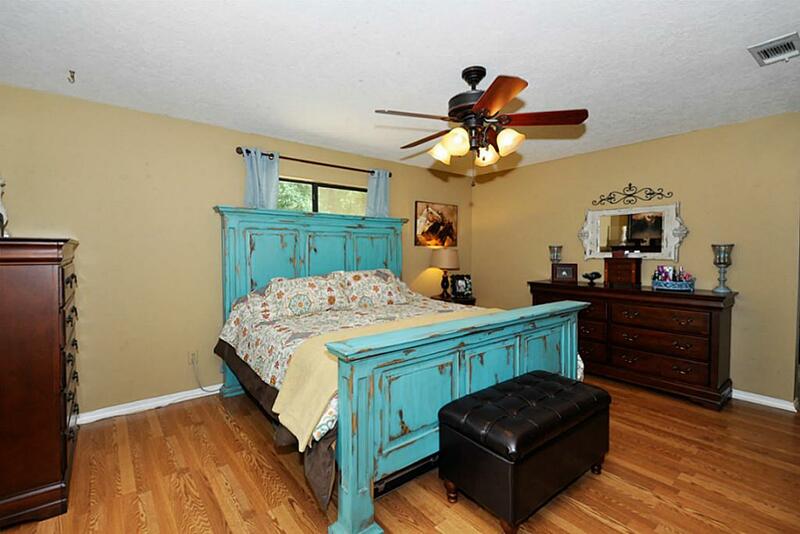 Secondary bedroom has large closet, ceiling fan and light, and wood laminate flooring. 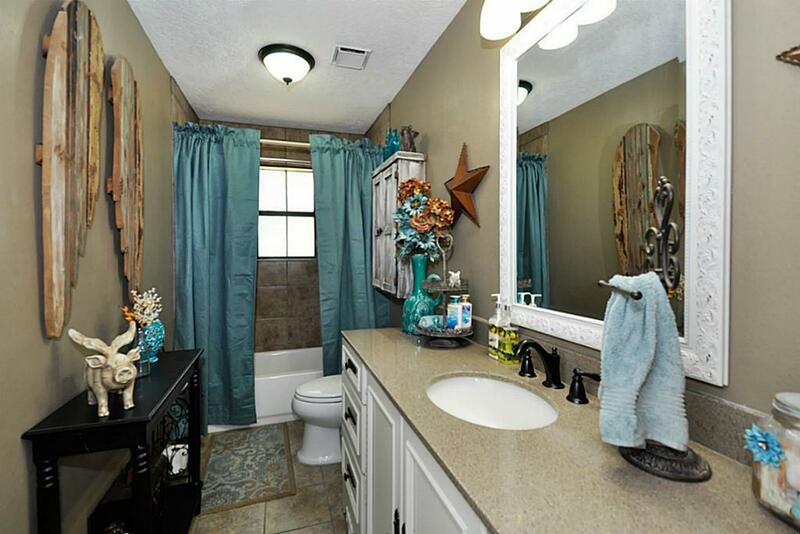 Second full bathroom includes single sink, solid surface countertops with 34” countertop-height cabinets, tile flooring, and shower/tub combo. 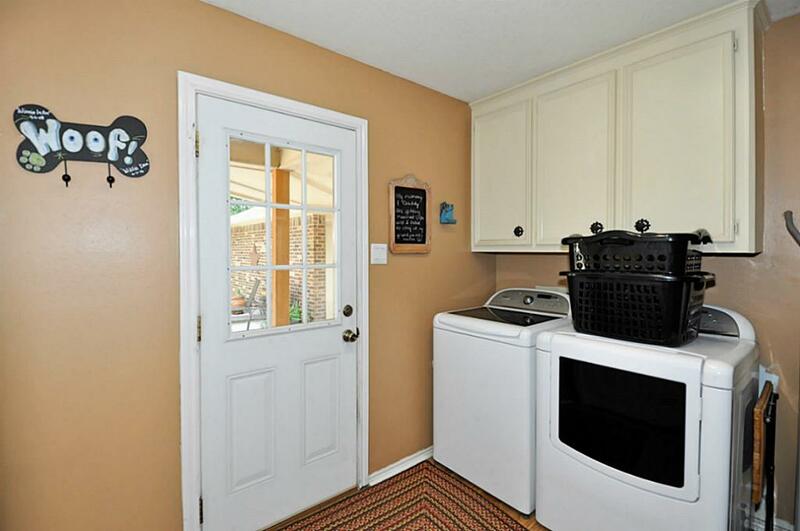 Plenty of room to work in this great laundry room with overhead cabinets and additional custom floor-to-ceiling Pantry! Direct access to back yard! This awesome space is the converted garage. 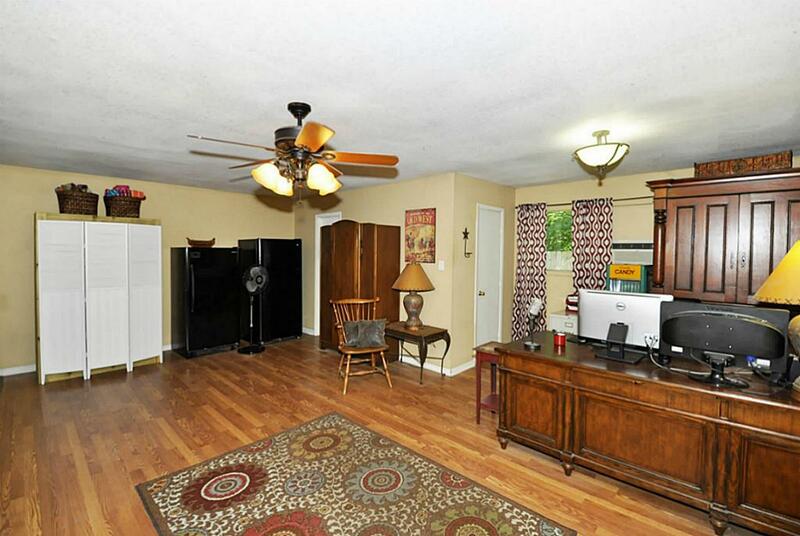 It has wood laminate flooring, ceiling fan and light, 2 closets, and a separate A/C unit. 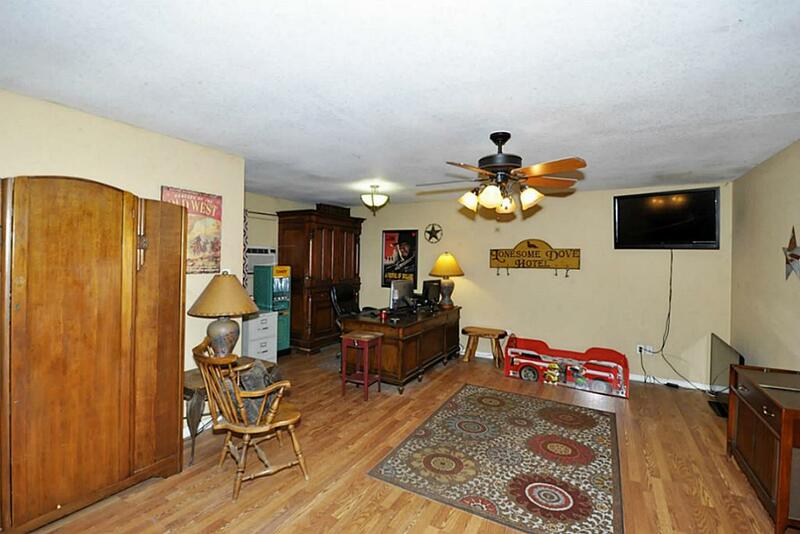 This room can be used as a playroom, media or game room, or as a 4th bedroom! This space can easily be converted back to a 2 car garage if desire. Everything you need to entertain is here! 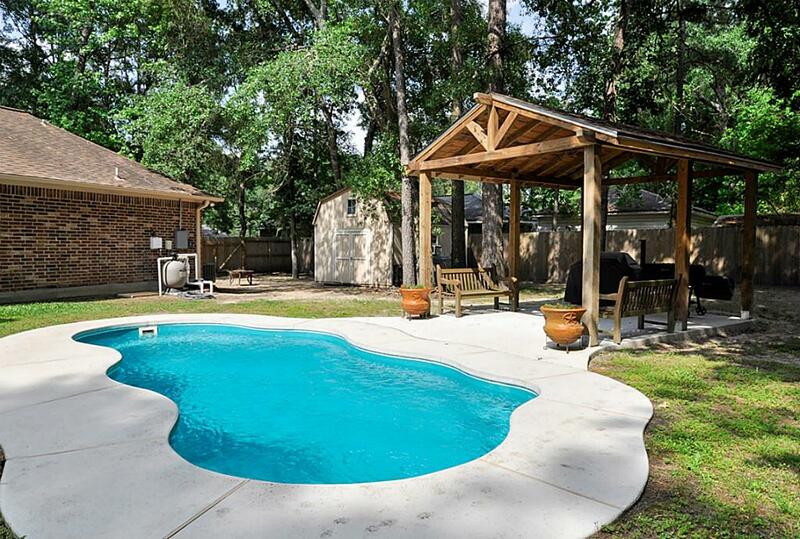 Plenty of guest seating in the large concrete patio or covered porch, in-ground salt-water pool and pergola! 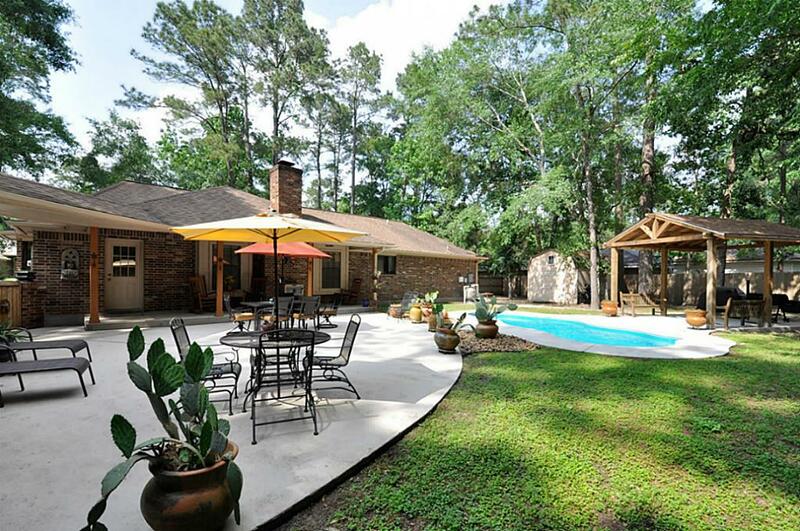 Another view of covered porch, patio, pool, and shed. 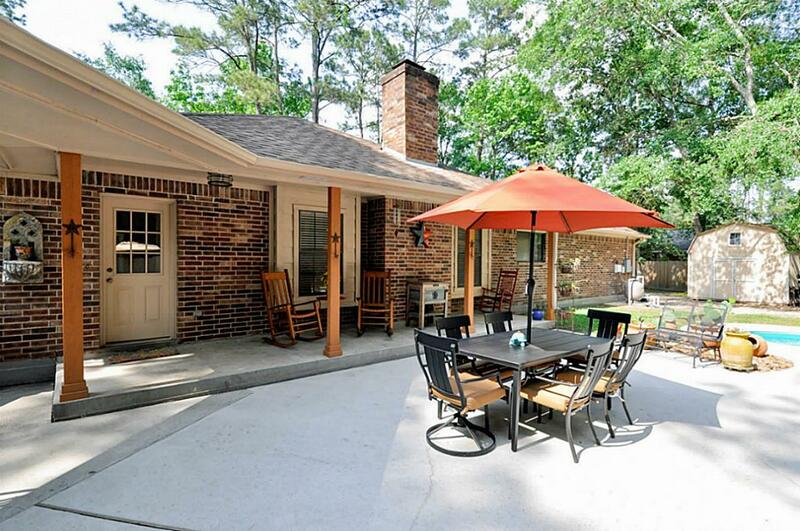 This covered patio is wonderful for relaxing and enjoying a glass of wine or watching the kids play in the yard! Finished wood ceiling and ambient lighting create a serene atmosphere. 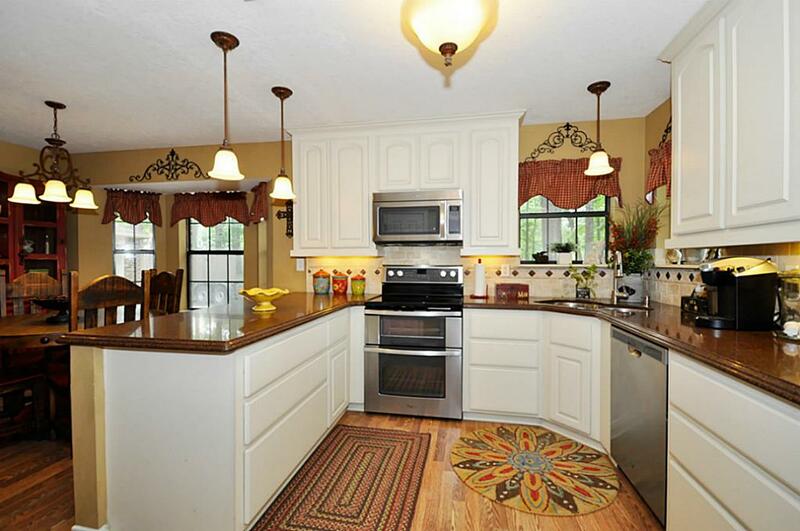 See virtual tour to appreciate all of the features of this 1/2 acre yard on a double lot! 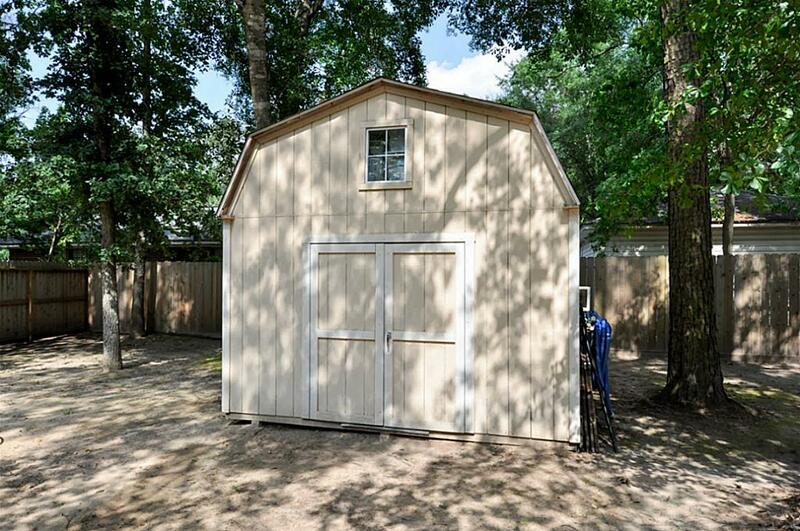 Additional shed with loft for storage is great for storing lawn tools, or it would make a great playhouse for kids! 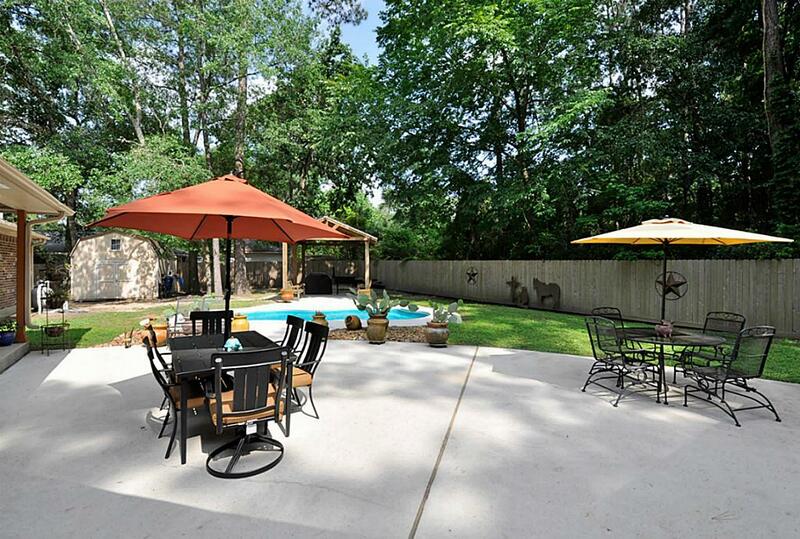 This 35 x 30 foot (irregular) patio provides plenty of space for relaxing, eating, or playing! Lots of trees for privacy and shade! Need room for additional seating or your grill? 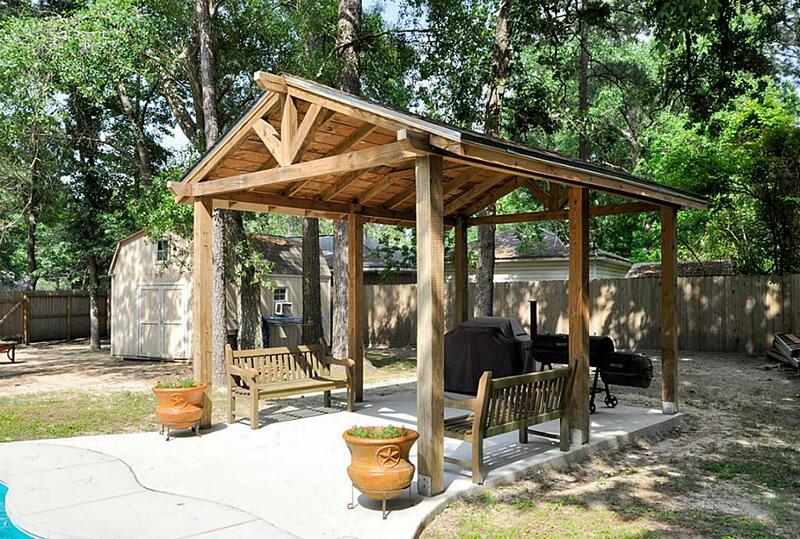 The 16x12 foot Pergola provides cool shade and another great place to relax or watch the fun in the pool! 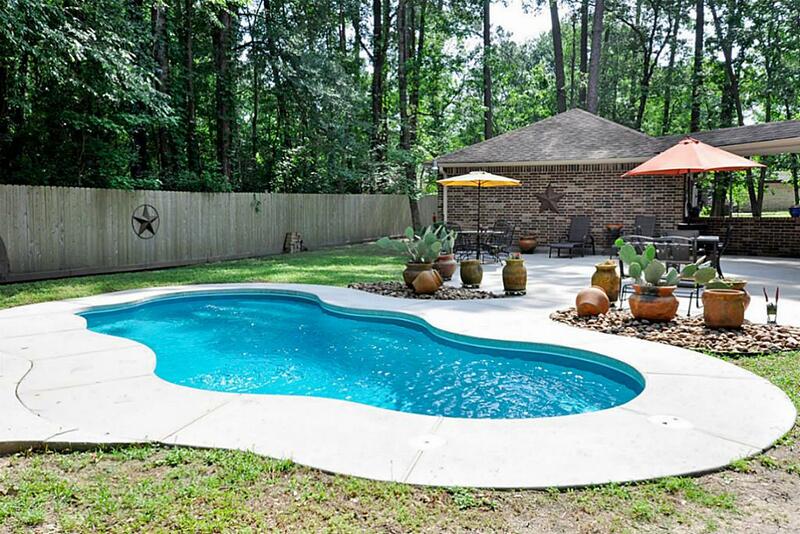 Unwind after a long day in this low-maintenance fiberglass salt-water pool! You are set for years of trouble-free enjoyment! 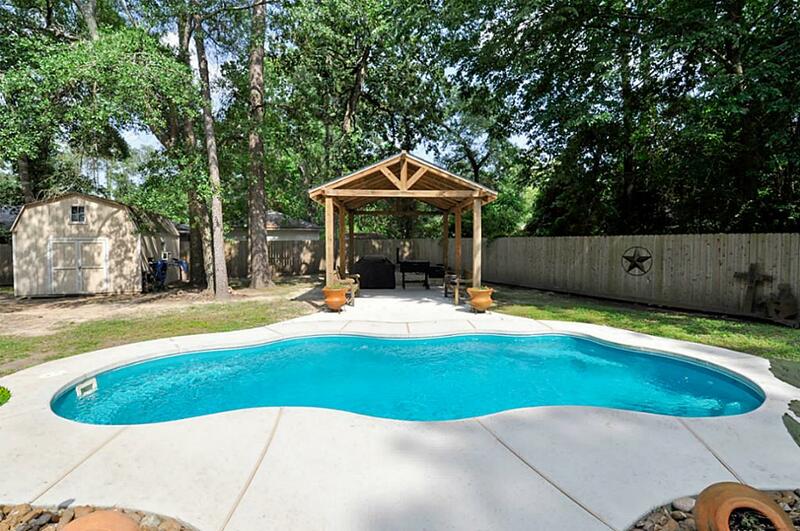 Another view of pool, pergola and shed. No back yard neighbors and no neighbors on one side ensures privacy and room to roam! 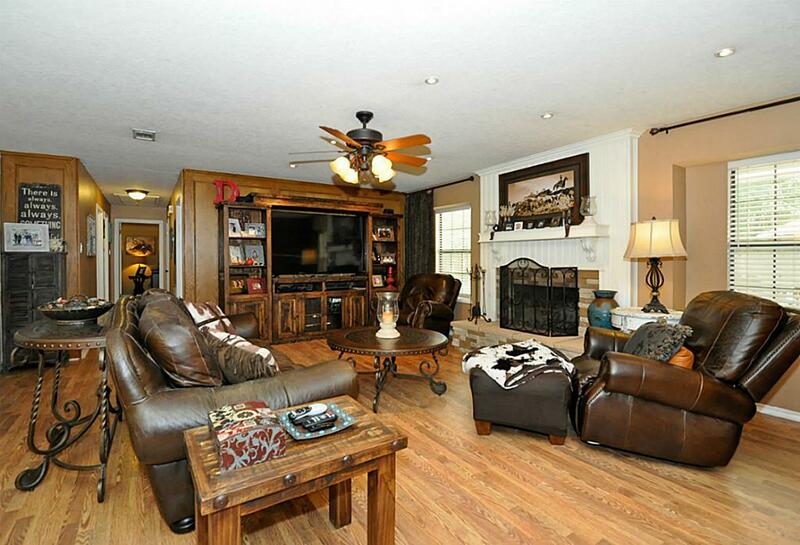 See the virtual tour to appreciate this lovely relaxing area! Still plenty of green space for lounging or playing. 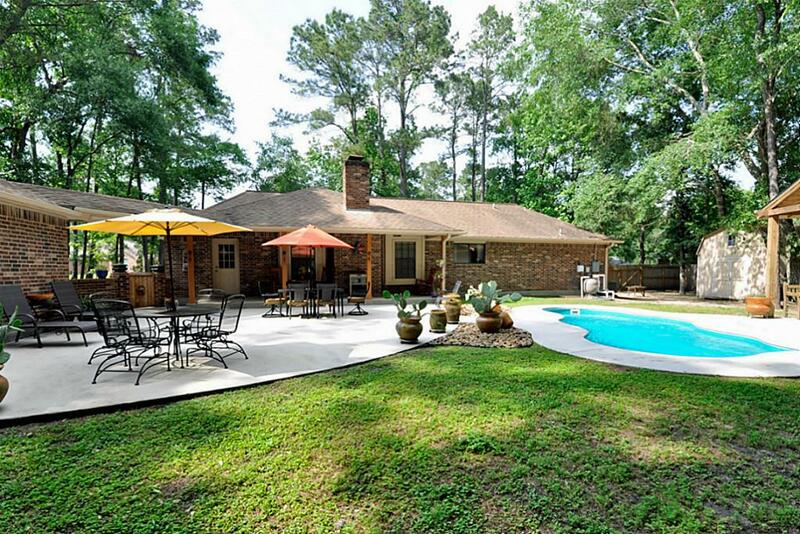 Lush trees and no neighbors on side and back provide a tranquil setting!